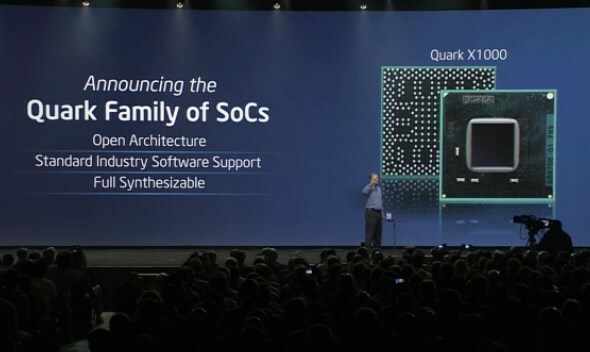 Taking place in San Francisco, Intel Developers Forum 2013 kicked off last night with the opening keynote by Intel’s new CEO, Brian Krzanich and one of the subject that he discussed or rather unveiled on stage is the company’s new Quark processor. 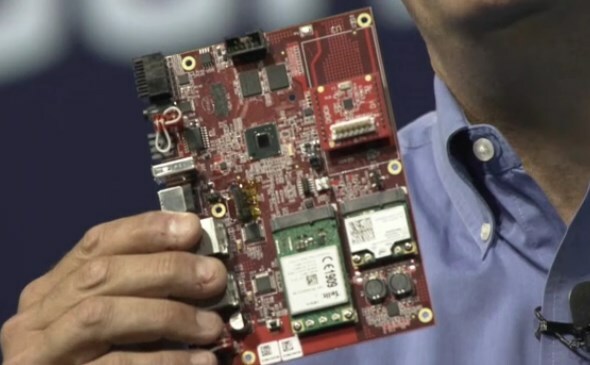 Said to be Intel’s smallest system-on-chip (SoC) yet, Krzanich stated that Quark is roughly one-fifth the size of existing Atom line up. Additionally, Quark also utilized only one-tenth the amount of power that Intel Atom uses. While Krzanich didn’t mention any release date, Intel already working on reference designs that will be delivered to partners in Q4 2013 to help them accelerate the development of Quark-based products and solutions. However, these solutions are initially aimed at the industrial, energy and transportation segments. That being said, the company still have their eyes on consumers market and have confirmed that they are also working on Quark-based wearable computers. While Krzanich actually showed off couple of reference designs on stage, Intel didn’t announced or confirmed any actual end-users products on stage last night. Nevertheless, the company did confirmed that they are currently seeking opportunities with their partners in this segment. Well, we should be hearing more about Quark processor from Intel very soon then.